The latest school shooting to occur didn't happen on some high school campus in the suburbs by an angry teen brandishing an AR, but was carried out by a crazed Trump-hating sociology professor who says he wanted to make a shocking political statement. Contrary to what it may at first appear, this story is not from The Onion, but a bizarre and all too real event which sent students scrambling as they heard a shot ring out in the bathroom of a campus building. And we're quite sure the students who actually rushed to the wounded professor's aid to save his life once they realized what had happened aren't fully appreciative of his "political message". Mark J. Bird, a 69-year old longtime sociology professor at the College of Southern Nevada shot himself in the bathroom of a campus building where he works, and is now facing felony gun charges after the August 28 incident, revealed for the first time this week based on a police report. Police confirm in their court report that the professor "had shot himself in protest of President Donald Trump". The professor was found bleeding from a self-inflicted gunshot as he stumbled out of the bathroom and passed out from blood loss after students and staff reported hearing "a loud noise". The shooting happened in the morning hours just as the second day of classes had begun. The professor has been described as having the title of professor emeritus at the institution, and is on the payroll, but wasn't scheduled to teach Fall courses. ...A 911 call was made after several CSN employees and at least one student saw Bird stumble out of the bathroom, bleeding, before he collapsed, the report said. None of the witnesses — who later told police they only recalled hearing “a loud noise” — initially knew Bird was armed and had shot himself, according to the report. The school was immediately put on lock-down after a campus wide alert went out, according to local reports. And further, according to witness and police statements, the professor told people who rushed to his aid in the immediate aftermath that the whole shocking episode was in protest of President Trump. Bird, who survived the "protest" after being rushed to the hospital is now in prison facing charges of possessing a dangerous weapon on school property, discharging a gun within a prohibited structure, and carrying a concealed weapon without a permit. 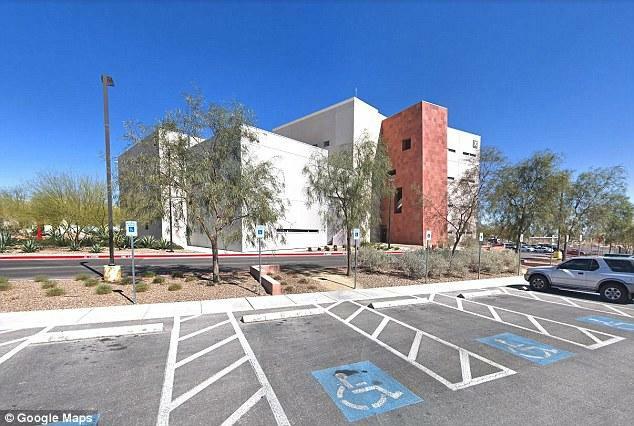 A College of Southern Nevada professor faces felony gun charges for shooting himself in a campus bathroom in protest of President Donald Trump, according to his arrest report. @abbytheodros explains. Despite the school spending a significant part of the morning class hours on lock down, surprisingly the media never picked up on the story in the immediate aftermath. The Las Vegas Review-Journal's reporting even suggests that the College of Southern Nevada's administration did as much as possible to suppress knowledge of the event from getting out, likely due to the explosive nature of headlines involving such an outrageous form of "Trump protest" occurring on campus by one of its faculty. Except for a short mention in the lengthy September edition of “The Chronicle,” the college president’s monthly newsletter emailed to staff, the college did not disclose any more details about the shooting. 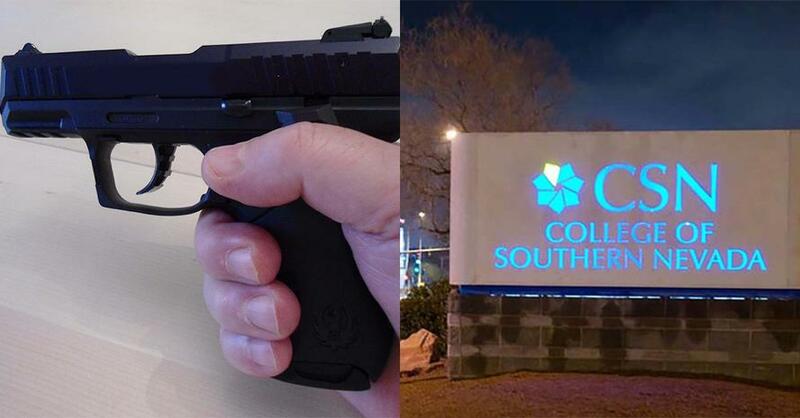 However, this week the college's faculty union has begun questioning the lack of transparency over the incident and how administration handled the shooting, complaining that staff not immediately impacted or who were not present in the Charleston campus "K Building" where it unfolded had only heard confusing rumors of the event. “They never really told the students much about it except that it was resolved on the actual day of the shooting,” Robert Manis, president of the college’s faculty union said earlier this week. However, a college spokesman pushed back this week, saying college officials did meet with faculty and staff in the shooting aftermath in order offer support and to take suggestions. Though the whole situation is beyond strange and very tragic, we can't help but ask: can we imagine the national media hysteria that would be unleashed had the shooting incident actually involved a Trump supporter instead of what appears to be an unstable leftist sociology professor?